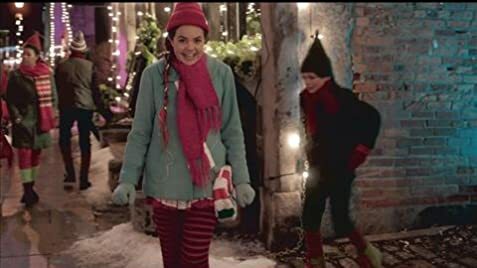 After a conversation with a man playing Santa Claus during her office Christmas party, a woman wakes up to find herself married to her college sweetheart and two kids and questions her life choices. The magical home to Santa (Robert Wagner) and Mrs. Claus (Jill St. John), has grown into a huge city powered by the magic of holiday happiness around the world. Santa Claus and the North-pole are in trouble because people everywhere are too busy to enjoy festive time together. The Northpole gets its fuel by "Holiday Cheer" but since that is dwindling this cause the city to be in trouble. Who can help save the cherished traditions of Christmas? 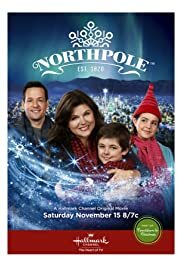 One young boy, Kevin (Max Charles), might have a chance if he can convince his protective mom, Chelsea (Tiffani Thiessen), to rediscover the magic of the season. This film does everything right. The Special Effects enhance the story and not overtake the story. The cast is spot on and they all deliver. I have no major complaints about this film. It really does capture the spirit of child and Christmas. If you have small children watch it with them. Now 1 year after this film was made HALLMARK made a follow up film "North-Pole: Open For Christmas"